Neymar out of Manchester United first leg? 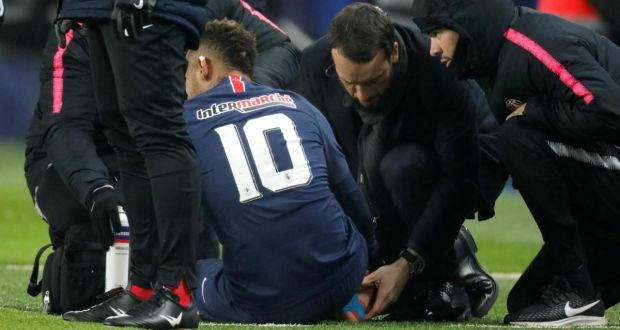 PSG coach Tomas Tuchel admits that Neymar may miss the first Champions League game against Manchester United on Old Trafford. The Brazilian winger suffered a metatarsal injury to his right foot in the Cup game against Strasbourg last Wednesday. “It’s going to be very difficult, that is clear,” Tuchel told reporters after yesterday’s win against Rennes. PSG visit Old Trafford for the first leg of the Champions League round of 16 clash vs Manchester United on February 12.